Taiwan’s food safety has been a major concern for all in recent years. With things just starting to quiet down a bit from May’s toxic starch incident, darkness now falls again as the market received another blow from the latest tainted cooking oil crisis from Tatung Oil. As the news reports more and more manufacturers caught up in this crisis, one can’t help but fear how many families may be affected by this? And how deep does this crisis impact the food market performance? 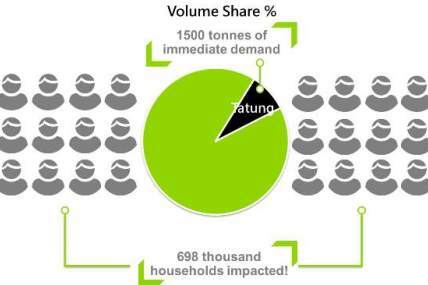 Through Kantar Worldpanel’s household panel data, regardless of the latest release of oil manufacturers in question, Just by looking at Tatung oil’s consumers for past 3 months* it is estimated that at least 700 thousand households have purchased a Tatung oil product, and are now exposed to the risk of eating tainted oil! For the consumers that have purchased Tatung Oil products, what types of products would they prefer to replace the tainted oils? 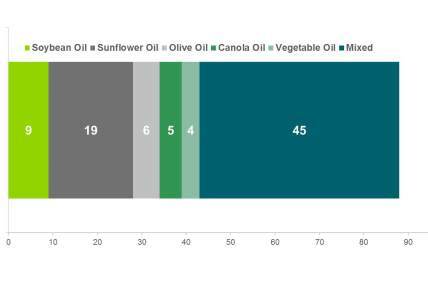 Based on these buyers’ past oil type and brand preference, Mixed oil is a likely choice, followed by canola and vegetable oil. In terms of brand preference, taking Tatung out of the picture it is likely that they will still select brands that are part of their regular shopping repertoire, which are Weilih and Taisun. However as more and more manufacturers get caught up in this incident, the market is facing a possible reshuffle in brand powers, providing possible growth opportunities for oil manufacturers that are safe from this turmoil. The scope of this latest food safety scare has expanded from not just the related products, but also people’s dining safety in restaurant, school and even in-home. It is everybody’s responsibility to ensure food safety, and it will require collective effort from manufacturers also to rebuild consumer confidence in our food industry, and also the nation’s reputation.